To determine the velocity of a pulse propagated through a stretched string/slinky. A stopwatch, a slinky (helical spring/string) and a metre scale. Tie one end of a spring/string with a rigid support and measure its length. Let it be s.
A pulse will be formed and it will travel towards the fixed end. Introduce a wave into the slinky by creating a large number of pulse at regular intervals. Stall the stopwatch at the instant when you create the single disturbance to the first coil and stop the stopwatch when last pulse reaches the fixed support. Record the time (t) taken by the pulse to travel along the slinky of length s.
Repeat your experiment for 4-5 times, note the time taken ‘t’ by varying the number of pulse and record your observations. One end of the string/slinky should be fixed properly with the rigid support. The string/slinky should be massless, flexible and of proper length. Special attention should be paid while recording the time because variations of time may vary the velocity of pulse to a higher level. Interval between the successive pulse should be maintained. To determine the velocity of pulse propagated through a stretched string/slinky. It is a single disturbance moving through a medium from one end to another end. What is the position of each turn of a slinky when it is stretched? When a slinky is stretched, the individual turn of the slinky to be assumed in an equilibrium or rest position. While giving the jerk to the free end of a spring, which physical quantity does move to the other end? Energy moves from one end to other end. Do the particles of medium also move from one end to the other end? No, particles of the medium oscillate about their mean position. 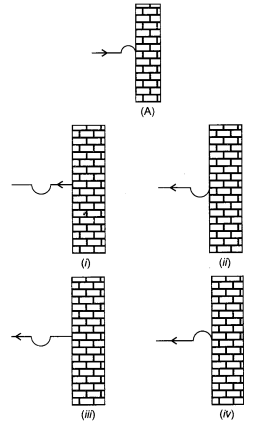 In the case of transverse wave, they vibrate up and down while in the case of longitudinal wave, they vibrate to and fro. Suppose, vibration of the coils of a spring are in the same direction in which the pulse propagate. 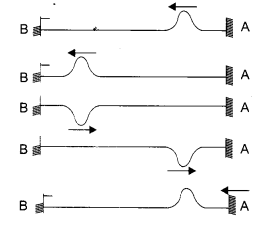 Which type of pulse is generated? Name a common device available in the laboratory for the production of sound waves in air. Name a device available in the laboratory for studying waves. Which type of wave can be produced on a slinky? Both, transverse wave as well as longitudinal wave. Which type of wave is produced when a stone is dropped on the surface of water in a pond? It is a long helical spring, usually made of steel, flexible and has a elasticity. Are the waves travelling on a string/slinky mechanical waves? Yes, the wave travelling on a slinky are mechanical waves. What will happen when the incident pulse reaches the fixed end of the string/slinky? Pulse returns to the left after bouncing off and is known as reflected pulse. If a crest is incident towards a fixed end, the reflected pulse will be crest or trough? Examinee:The pulse will reflect as a trough. What is the speed of reflected pulse? It is same as the speed of the incident pulse. This means two pulses which travel in different directions will have the same speed. What is the wavelength of incident and reflected pulse? Both have the same wavelength. What is the relationship between the pulse velocity (v), wavelength (λ) and frequency (v)? What is the difference between a pulse and a wave? State the nature of pulse generated in a stretched string. Is it transverse or longitudinal? Can a longitudinal pulse be generated in a string or a thread (an amateur’s telephone !)? The nature of a pulse generated in a stretched string is transverse in nature. Yes, longitudinal pulse can also be generated in a string or a thread. Why we prefer a longer string to perform the experiment? The speed of the pulse generated in the stretched string/slinky is very high. So, it is difficult to measure the time taken by the pulse in a single journey along the known small length of string. Therefore, it is preferred to take a longer string to perform the experiment. In this experiment, you must have noticed that while expressing the result for the speed of a pulse in a string, it is not suggested to take the average value of speeds determined with different lengths of the string. Why? The speed of a pulse ( or a wave) through a stretched string is inversely proportional to the square root of the mass per unit length of the string. 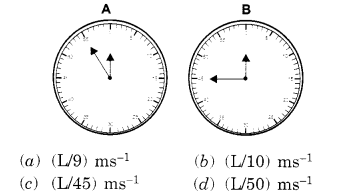 Therefore, the different values of speed of the pulse for different values of string length will be observed. Hence we cannot take the average value of speed determined with different lengths of string. On which of the following factor, the speed of propagation of pulse in a slinky does not depend? What is the velocity of pulse for the slinky indicated in the figure below? Given that the pulse took 5 seconds to travel from A to B and then back to A. A slinky, 5 m long, is tied to the hook in a wall and its other end is held tightly. It is then pulled as shown, and released suddenly.